Running a business is an exciting venture. It’s great to see your hard work pay off when your business is fully established in Woking, and you can see the profit that you’re making from the services or products that you sell to your customers. If you’ve got to this point in your journey, it may be time to start thinking about the different ways that you can expand and adapt your business to help it grow and flourish through both increased sales, and maintain or improve your current profitability as well. This can take a lot of hard work and commitment to work out which ways of improvement will work best for your business, so we’d like to lend a hand. This useful guide is full of handy suggestions and options to help you weigh up your options. We’ve even spoken to a couple of people from the Woking business community to offer their views on the process. 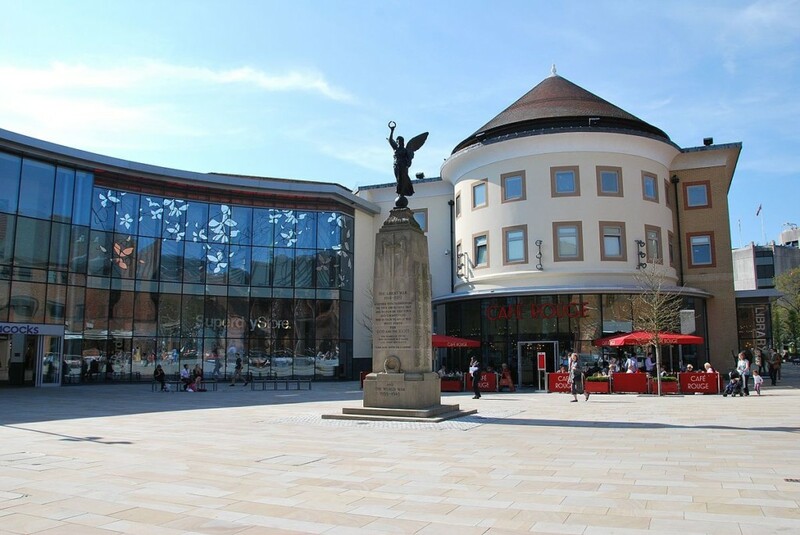 Here is your guide to help you grow your business in the Woking area. There are many different ways to help grow your business, and some will work better for your particular business better than others. As we’ve already mentioned, it’s often that businesses believe their growth comes from increased sales, but its also important to maintain and improve your profitability at the same time so that you can keep up with higher demands. As your business grows, it is crucially important that you must register for VAT if your VAT taxable turnover becomes more than £85,000. Find out more details on that process at the gov.uk website. In this guide, we’ll look at each of the ways you can grow your business in detail, but is important for you to know what options are available, so you can consider which ones you’d like to know more about. This is by no means an exhaustive list – there are many other ways to grow a business beyond these options, but we consider these to be a good start for your growth journey. Whichever way you’re planning to grow your business, choosing the path to growth can often mean that you need to invest more. This can be done through a variety of different methods, from self-sufficient investing to backed schemes and loans. If your business is self-sufficient, investing into growth could be as simple as investing previous profits from sales and products back into your business. However, it could be that you need a little more help to get you able to invest more into the development of your business, so taking out a loan could be a better option. Before you consider taking out a loan, you need to make sure that your business will be able to pay it back in the long run, including any interest that is acquired on outstanding debts. Repayments will often be made in instalments, so make sure that your future business plan includes this. Lenders can ask you to provide a personal guarantee or agree to a fixed asset loan if you’re a sole trader looking for funding. Make sure, if you’re considering a loan to get advice from a personal advisor, such as an accountant or solicitor, to work out whether it makes financial sense for you to take on a loan or investment of any kind. It may be that you don’t want to consider loans as a means of investing into your business and, if that’s the case, you could look for other sources of finance, including government-backed schemes or local assistance, such as the Woking Chamber of Commerce. There are a number of government-backed schemes available to give you help and support when growing your business. Find out which one would suit your business here. Another option available for investment when growing your business is selling shares. This investment option relies heavily on you being able to bring in new investors by presenting them with a case for growth. Presenting potential new investors with a financial model is key in this situation. You will need to show them how your business will spend the money they invest to increase the sales and profits and also how both initial and ongoing costs will affect your cash flow. This will help investors work out how much your business could increase in value if they buy shares. Increasing your sales is a crucial part of business growth, whether you’re choosing to focus on existing customers, or if you’re aiming to gain new customers from your local area, e.g. Woking. The simplest way in which to increase your sales is to sell your products or services to customers who have already bought from you before, since they will know your brand, trust your products and possibly be more loyal. In order to target the people who may not buy from you frequently but have before, it would be a good idea to keep a record of who your customers are and what they have bought from you, so that you can work out who has stopped buying from you and who you might be able to upsell to. The customers that are the best to target include customers that have made one-off purchases, in order to encourage them to become repeat customers; identifying and targeting customers who have stopped buying from you to try and win them back with new offers or products; or simply selling more of the same products and services to regular buying customers. Targeting these customers can often be cheaper and more effective when trying to increase sales than if you are attempting to find new customers. Are people paying too much or too little? This is a very important question to ask when you’re considering how to increase sales, since either of these options could either put people off buying from you, or mean that you’re not making as much of a profit as you should be. Regularly reviewing your prices and comparing them to the prices your competitors are offering can be a very effective way of increasing both your sales and profits. This can help you find out if you’re losing customers to them because they are selling similar products for less, or if you’re sacrificing your profitability because customers are willing to pay more for similar products elsewhere. Sometimes, while it may be tempting to include a discount or offer for your customers, it has been shown that it sometimes reduces a business’s overall profitability, even if you’re selling more products. On the other hand, even if you’re selling fewer items, sometimes you might be able to make more overall profit by increasing prices. Create a cost structure for your business to work out the best ways to balance your regular ‘fixed’ costs, such as premises and bills, and ‘variable’ costs against your sales and profits. At Titan Storage, we can offer you a business storage solution to help you optimise the space you have and make sure you get the most out of what you’re paying for your premises and fixed costs. Increasing awareness of your business in your local area is a key way to find new customers. By asking your customers to recommend you to their family, friends and colleagues; advertising in local media, and using other forms of marketing, such as digital marketing and social media, your business gains visibility that it otherwise wouldn’t have had. Sponsoring events and supporting other local business is also a great way to gain visibility in a positive way since it shows that you’re supporting your local community. Business engagement partnership, Woking Works, who links the Woking Borough Council with the businesses of Woking believes that “choosing Woking [as your business location] means you will be in good company as a valued member of a highly competitive business community”, enabling you to connect to a number of different people and audiences. The most important thing to do when considering how to improve and develop your products or services is to focus on your existing customers, and the needs that they have with regards to what you are selling. Talk to them; find out their views on what they’re buying, what they value about it, what you could do to make it better, and what would encourage them to buy more of your products or services. From that feedback, it’s crucial to actually make those changes, so that your customers can see you’re taking on board what they’re saying and will respect your business more. However, make sure you test prototypes of your improved products or services with a few existing customers, so that any changes you make don’t negatively harm your business. Making the changes to your products might enable you to increase your prices, or appeal to more new customers whose needs you weren’t meeting before. Selling online could also be an opportunity to improve and develop your current services, since it will enable you improve visibility to reach a wider audience for your business and provide products to people who either didn’t know your products existed, or couldn’t purchase them before. Check out our other guide on how to start and grow an ecommerce business for some tips on setting up your online store. While relying on your current products for success when growing your business, as Jonathan Lord – MP for Woking – says, “developing new products is an essential part of growing your business”. In this instance, if you’re planning on developing something new, you should take as much care with them as you would when you first started your business. Make sure there’s a real demand for what you’re planning to sell, since that will help you find out any problems and fix any issue before you’ve wasted too much time, money and effort. By developing new products and services, you can sell more to existing customers, spread fixed costs across a range of products, and diversify the products you offer so you’re less reliant on certain customers and markets. If you’ve invented something or come up with an original idea, you should register it to make sure that nobody copies your product or service. Find local support in England for coming up with and developing business ideas on the National Enterprise Network website. Your staff are one of the most important parts of your business. Without them, it would be much harder to increase sales and market new services or products. When growing and expanding your business, you’ll need more of a capacity to provide your products or services to your customers and hiring new staff, or training current staff, can help you gain a wider range of skills from your staff members. Should you employ new people? Taking on new staff members can help you to spread the workload of your expanding business, increase production outputs and also take advantage of any new, or different, skills that your new staff members possess. Whether you already have employees working for your business already, or started your business as a sole trader and are only now considering taking on new members of staff, these benefits can apply to both situations. Find out the ten important steps to follow when hiring your first employee here. Another option for you when incorporating new people into your business is to instead consider apprenticeships. By taking on an apprentice, you can grow your staff capacity by investing in people who want to learn the trade or skill you are offering. Your business will then develop and grow using the skills that they learn both while working, and outside of their job. If you’re not in a position to take on new staff members, there is also the option of training any employees you already have. Training your current members of staff can provide many benefits for your business, such as improving the range and level of skills that your employees possess. Also, offering training opportunities can increase the loyalty that your staff have towards your company and can increase their productivity, which will help to increase your business’ profits. However, Woking Works cautions that, “although turning a profit is always going to be a major priority for a successful business, there are many ways to achieve this aim. Looking after the long-term health of your employees […] can actually save you money too.” Looking after your current employees is of paramount importance, through both supporting them with wages, working conditions and pensions, and giving them opportunities through training courses. There are some great selections of courses, which can be tailored for your specific business area available through the National Careers Service, or there is the option to use a business improvement framework, like Woking Works. Business mentors, such as the ones available through business improvement frameworks and engagement partnerships, are perfect resources to help you develop your ideas for growth by sharing their experience, expertise, contacts and skills. As well as through Woking Works, you can also find business mentors through the website mentorsme.co.uk. Growing your business can be an exciting stage during your career and it’s definitely a rewarding one. With the above suggestions, we hope that the growth and changes coming up for your business can be smooth and effortless, helping you to achieve more and succeed. Although we can’t help you run your business, we can provide space for stock storage and meeting rooms when required so that you can take advantage of as much space as you need while growing your business. Give us a call on 0800 644 0018 for more details.